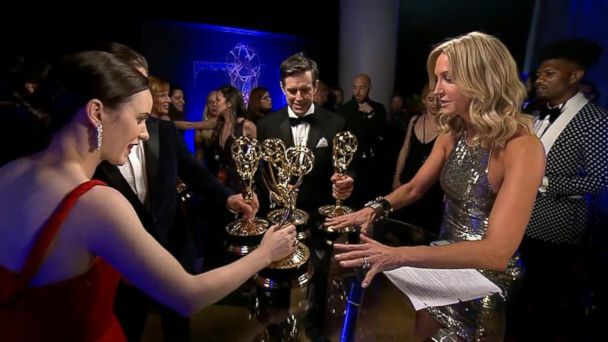 Follow the latest Emmy Awards news, videos, and analysis from ABC News. 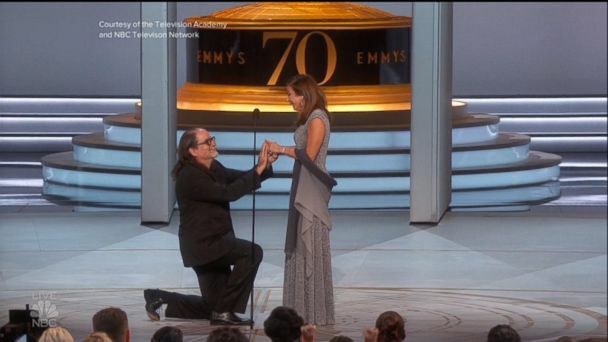 Glenn Weiss, who won for directing the Oscars telecast, took a moment to thank his girlfriend, Jan Svendsen, for being the "sunshine" of his life and then proposed to her on live TV. 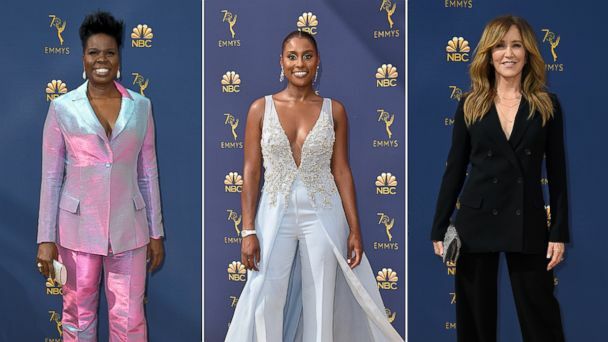 Stars from Leslie Jones to Feliticy Huffman traded evening gowns for pantsuits. 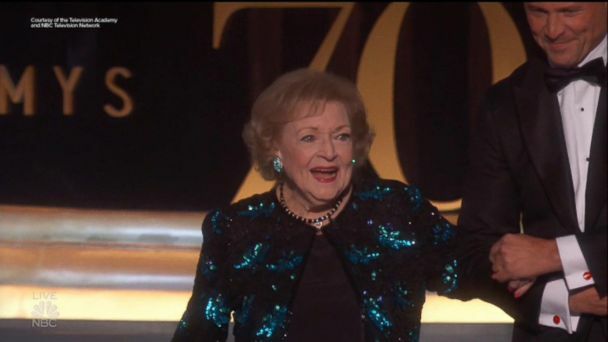 The 96-year-old actress was honored at the awards show for her more than 80 years in the business. 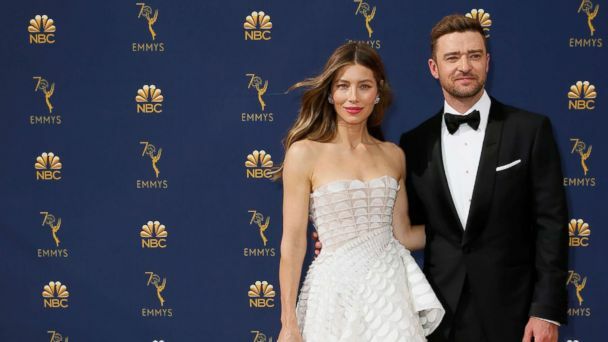 ABC News' Lara Spencer reports on the buzziest red carpet moments from the biggest night in television. 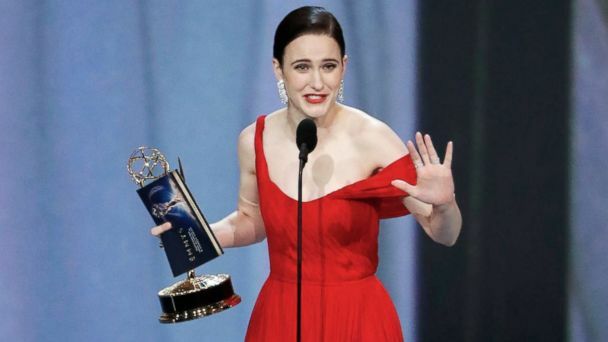 "The Marvelous Mrs. Maisel" took home five Emmys, including a best actress win for Rachel Brosnahan, while "Game of Thrones" won best drama. 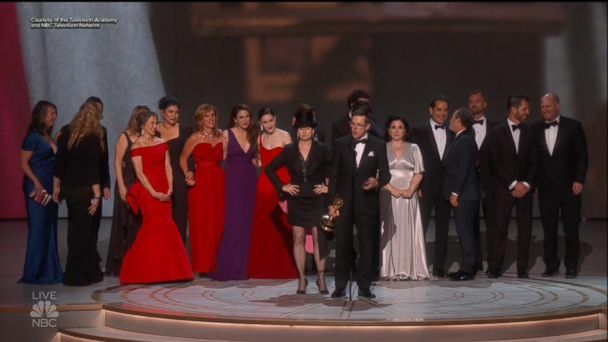 It's been a night to remember at the 70th Emmy Awards and it would be an award show without all the big winners! The specially designed dress was another nod to her late father. Jenifer Lewis wanted to support the company for backing Colin Kaepernick. Pop culture insiders Sonia Denis and Chelsea White tell us what you need to binge on before tonight's awards! ABC's "Popcorn" host and film critic Peter Travers turns to television. Travers offers a look at who should take home the golden trophies at this year's Emmy awards. Laurie Metcalf earned a surprise nomination while Debra Messing was snubbed. Who will nab a nominations for the 2018 Emmy Awards? Emmy nominations will be announced live Thursday morning. 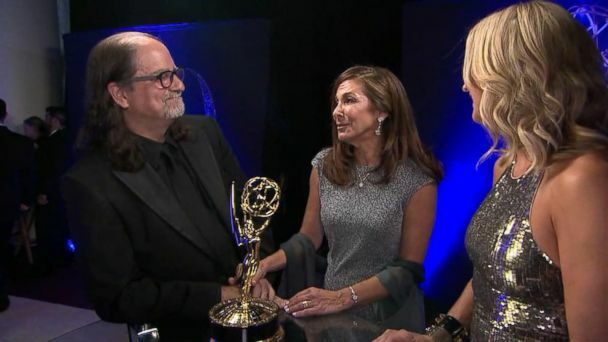 The 2017 Emmy Awards experimented with a new announcer, to mixed reviews. The 2017 Emmy Awards were historic on many fronts. 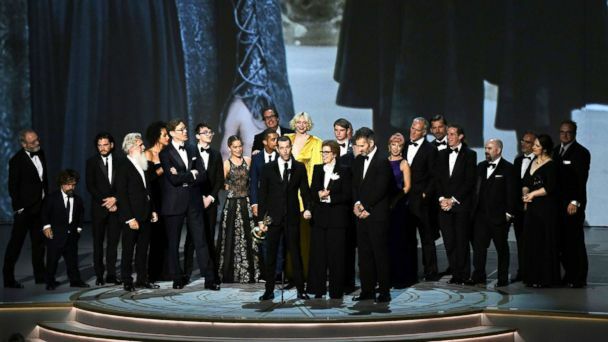 The best actor winner was cut off during the ceremony Sunday night. Hoffman, nominated for her role in "Feud," put on a comedic performance, screaming obscenities, when Dern's name was called for Best Supporting Actress for "Bit Little Lies." Style experts Cindi Leive and Joe Zee break down the best fashion moments from last night's red carpet. Laura Dern joins her castmates Nicole Kidman and Reese Witherspoon in reacting to their 2017 Emmy wins, plus hear backstage reactions from more Emmy winners including Alec Baldwin, Sterling K. Brown and Julia Louis-Dreyfus. Hulu's "The Handmaid's Tale" took home eight Emmy awards while Spicer, the former White House press secretary, interrupted host Stephen Colbert to spoof his own controversial post-inauguration press conference. Kerry Washington, Laverne Cox, Julia Louis-Dreyfus and Anthony Anderson are some of the nominees. The "Black-ish" star has been nominated for an Emmy for the third year in a row. The actress could become a two-time Emmy winner. Take this quiz to see whether you know what shows and actors are nominated for this year's 69th Primetime Emmys! Newcomers and network TV could score big at the 69th Primetime Emmy Awards.